The Central Health Board of Managers voted to pass the Fiscal Year 2018 tax rate and budget Sept. 13 and the Travis County Commissioners Court voted on final approval on Tuesday, Sept. 19. 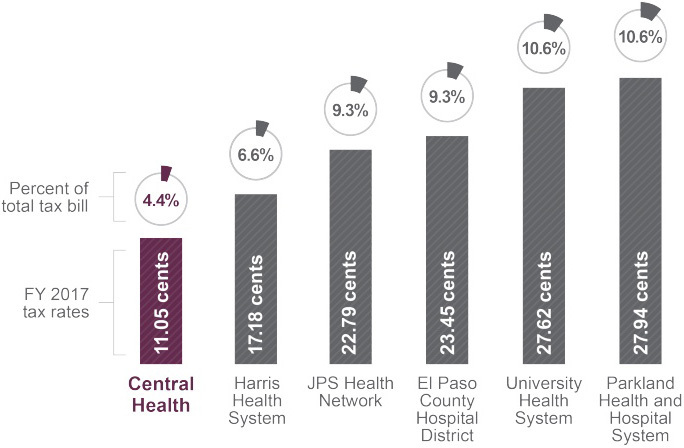 Central Health conducted public hearings Aug. 30, and Sept. 6, on a proposal to increase the total tax revenue of the Travis County Healthcare District d/b/a Central Health by 4.5 percent. 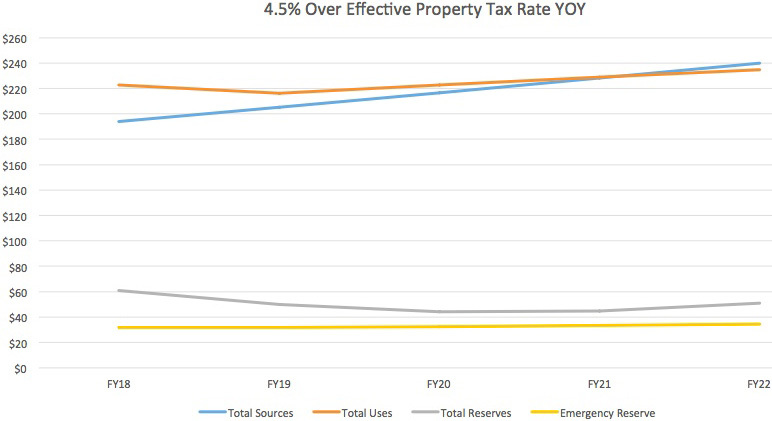 The board approved a tax rate of 10.7385 cents per $100 of property value, a decrease from the Fiscal Year 2017 rate of 11.0541 cents. With the value of the average Travis County homestead increasing by more than $20,000 this year to $305,173, the average Central Health taxpayer will see an increase of $12.50 to their tax bills—equal to $1.04 per month. All discussion and action taken by the Central Health Board of Managers on the development and eventual adoption of the Fiscal Year 2018 Budget and Tax Rate are documented below. The Travis County Healthcare District d/b/a Central Health conducted public hearings on August 30, 2017, and September 6, 2017, on a proposal to increase the total tax revenues of the Travis County Healthcare District d/b/a Central Health from properties on the tax roll in the preceding year by 4.5 percent (percentage by which proposed tax rate exceeds lower of rollback tax rate or effective tax rate calculated under Chapter 26,Tax Code). The total tax revenue proposed to be raised last year at last year’s tax rate of 0.110541 (tax rate for the preceding year) for each $100 of taxable value was $170,950,014 (total amount of taxes imposed in the preceding year). The total tax revenue proposed to be raised this year at the proposed tax rate of 0.107385 (proposed tax rate) for each $100 of taxable value, excluding tax revenue to be raised from new property added to the tax roll this year, is $179,307,398 (amount computed by multiplying proposed tax rate by the difference between current total value and new property value). The total tax revenue proposed to be raised this year at the proposed tax rate of 0.107385 (proposed tax rate) for each $100 of taxable value, including tax revenue to be raised from new property added to the tax roll this year, is $183,674,433 (amount computed by multiplying proposed tax rate by current total value). The Travis County Healthcare District d/b/a Central Health Board of Managers is scheduled to vote on the tax rate that will result in that tax increase at a public meeting to be held on Wednesday, September 13, 2017, at 5:30 p.m. at Central Health Administrative Offices, 1111 East Cesar Chavez, Austin,Texas 78702. TheTravis County Healthcare District d/b/a Central Health Board of Managers proposes to use the increase in total tax revenue for the purpose of furnishing medical aid and hospital care to indigent and needy persons residing in the district (description of purpose of increase). The Travis County Healthcare District d/b/a Central Health will hold two public hearings on a proposal to increase total tax revenues from properties on the tax roll in the preceding tax year by 4.5 percent (percentage by which proposed tax rate exceeds lower of rollback tax rate or effective tax rate calculated under Chapter 26, Tax Code). Your individual taxes may increase at a greater or lesser rate, or even decrease, depending on the change in the taxable value of your property in relation to the change in taxable value of all other property and the tax rate that is adopted. The first public hearing will be held on Wednesday, August 30, 2017, 6:00 p.m. at Central Health Administrative Offices, 1111 East Cesar Chavez, Austin, Texas 78702. The second public hearing will be held on Wednesday, September 6, 2017, 6:00 p.m. at Central Health Administrative Offices, 1111 East Cesar Chavez, Austin, Texas 78702. FOR: Katrina Daniel, Chairperson; Guadalupe Zamora, Vice- Chairperson; Charles Bell, Treasurer; Sherri Greenberg, Secretary; Abigail Aiken, Board Member; Julie Oliver, Board Member; and Cynthia Valadez, Board Member. ABSENT: Clarke Heidrick, Board Member; Maram Museitif, Board Member. The average taxable value of a residence homestead in the Travis County Healthcare District d/b/a Central Health last year was $285,077 (average taxable value of a residence homestead in the taxing unit for the preceding tax year, disregarding residence homestead exemptions available only to disabled persons or persons 65 years of age or older). Based on last year’s tax rate of $0.110541 (preceding year’s adopted tax rate) per $100 of taxable value, the amount of taxes imposed last year on the average home was $315.13 (tax on average taxable value of a residence homestead in the taxing unit for the preceding tax year, disregarding residence homestead exemptions available only to disabled persons or persons 65 years of age or older). The average taxable value of a residence homestead in the Travis County Healthcare District d/b/a Central Health this year is $305,173 (average taxable value of a residence homestead in the taxing unit for the current tax year, disregarding residence homestead exemptions available only to disabled persons or persons 65 years of age or older). If the governing body adopts the effective tax rate for this year of $0.102815 (effective tax rate) per $100 of taxable value, the amount of taxes imposed this year on the average home would be $313.76 (tax on average taxable value of a residence homestead in the taxing unit for the current tax year, disregarding residence homestead exemptions available only to disabled persons or persons 65 years of age or older). If the governing body adopts the proposed tax rate of $0.107385 (proposed tax rate) per $100 of taxable value, the amount of taxes imposed this year on the average home would be $327.71 (tax on the average taxable value of a residence in the taxing unit for the current year disregarding residence homestead exemptions available only to disabled persons or persons 65 years of age or older). Members of the public are encouraged to attend the hearings and express their views. 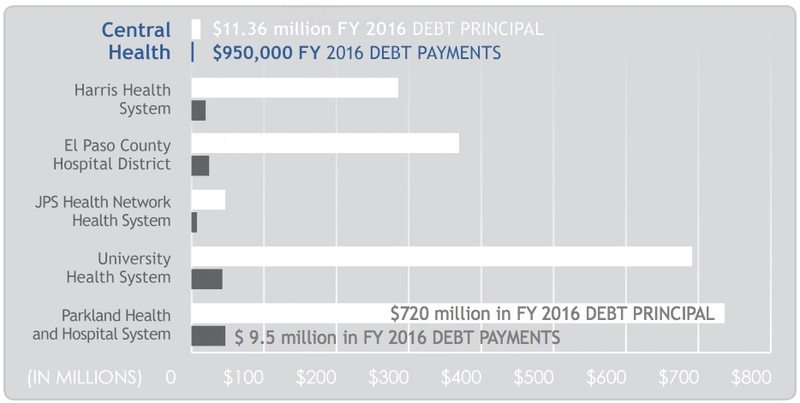 The Proposed Fiscal year 2018 Budget Booklet provides detail and context to better explain the numbers behind Central Health’s budget.